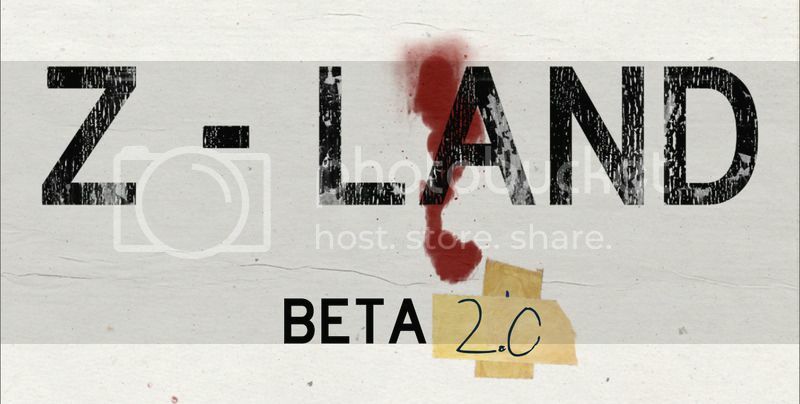 The Z-Land 2.0 has been released, and for those who already got into the beta it should be on its way to you right now. If you want to sink your teeth into the beta, you can now grab it from DriveThruRPG. 2.0 brings with it 2 major mechanics: Food Spoilage and Threat. Food Spoilage is exactly what it says it is. It uses a very simple mechanic to track how long until the food you have spoils and can no longer be eaten. You already have to deal with hunger and starvation and now you have to worry about your good going off. Other than keeping you on your toes, the purpose of this mechanic is to keep you moving. If your food never went off or spoiled then you can happily set up camp somewhere safe, have a pint and just wait for the apocalypse to (hopefully) blow over. But if your food has a time limit that means you have to keep going out there into the ruins scavenging for food and that makes the game exciting. The second mechanic is Threat. Threat deals with the consequences of going around scavenging or in general just making noise. Threat deals with how many individuals (alive, dead or undead) hear the noise you are making and how far away they are. Threat is also the first foray into our environment system as each environment deals with sound differently. Sound carries further in open plains than in a densely backed urban district, but there are far fewer people out on the open plains than in a city. So stay on the move and keep your ears and eyes open! As always, we love to hear feedback on these new mechanics and absolutely everything else in the Z-Land Beta. If you wanna chat to us you can email us at customerservice@stormforgeproductions.com or you can find us on the Rycon Roleplays Discord Server where you can chat to fellow beta testers about your experiences in the apocalypse.